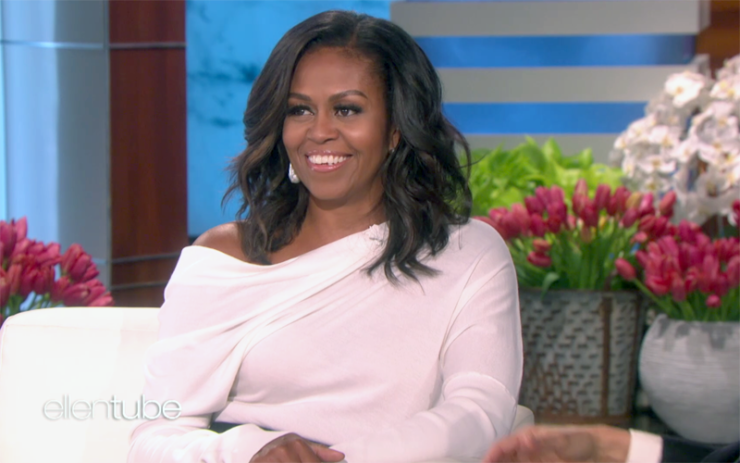 Black America’s forever first lady, Michelle Obama will celebrate Ellen DeGeneres’ 60th birthday as a guest on the funny woman’s eponymously titled talk show. In a Twitter post on Tuesday, Ellen wrote, “I knew my 60th birthday show was gonna be fun, but I didn’t know it’d be this fun. See it all Thursday and Friday.” The post accompanied a smiling image of Ellen, Mrs. Obama, and actress Jennifer Anniston, who appears as a guest on the Friday birthday special. Thursday’s interview with Ellen is Mrs. Obama’s first television interview since leaving the White House. She and her husband, President Barack Obama, inked a book deal reportedly worth $65 million. The world looks forward to hearing how this brilliant couple continues to make the world a better place through their continued sacrifice and intellectual perspective.